Jaykay Blinds are specialists in designing and supplying made to measure blinds to our customers all over the UK. We have an extensive product range that is specifically designed to suit whatever budget you may have. We provide an individual service that is professional, friendly, and can fulfil your requirements in full. Our experienced staff will assist you with all kinds of design solutions when it comes to ordering your blinds. We feel it is really important to choose the right kind of blinds for your home. They will dramatically transform the overall look of any room while keeping the sunlight out and giving you the exact amount of privacy needed for you and your family. Because we are specialists in interior window dressing, we can help you choose from a wide range of styles, colours, and fabrics, and then give you expert advice on how to fit them in the correct manner without damaging your windows. 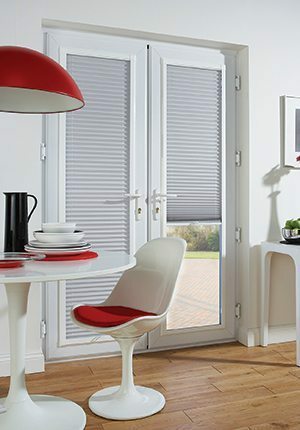 All of our blinds are completely child proof so are safe to use in nurseries and children’s bedrooms. They can be made with a blackout fabric which is perfect if you would like to keep the sunlight out of your bedroom until you are ready to wake up. The internal lining of our blinds will help to reduce heat gain in the summer months and heat loss in the winter. Our Venetian Blinds offer you light, privacy, and heat control just by twisting a wand. They all come in a wide range of colours and fabrics. Our 25mm slats come in 81 different colours. Click here to see our full range. We can offer you 4 different colours for our matt finishes. So as you can see, we have a colour to match whatever colour scheme you have in your home. We can design and supply blinds for your conservatory. This would include blinds for both the windows and the doors. They will have to be fitted to the window itself meaning you will not have to drill any holes or screw any brackets in your window frames. This will save your window frames from getting damaged. An ideal solution all round! Delivery time on all our blinds is 12-14 days. If you would like your blinds to be delivered to you on a Saturday, then please contact us via our email address before you order. There is an extra charge for Saturday deliveries. If you would like to know more about our blinds, please contact us today for more information.